Joy De Vivre Design: Hello Sunshine! Big sunglasses! Eye protection-check! Cute to boot-check! Sure there are fancier gadgets that hold 1,000's of songs..but do they have the vintage style of this radio? No they do not! 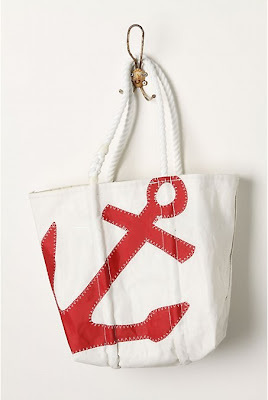 Carry your sunblock, towels and summer reads in this Anchored Bag! I personally believe that swimsuits should all come with a package of Prozac to help you when you realize the reflection in the mirror is not that of Heidi Klum! This one is really cute though! Do you all have any great plans for the summer? 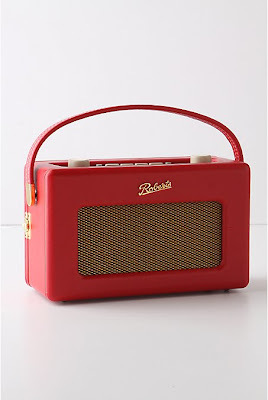 That radio is really cool. No plans for the summer except just spending time with my baby before going back to work. 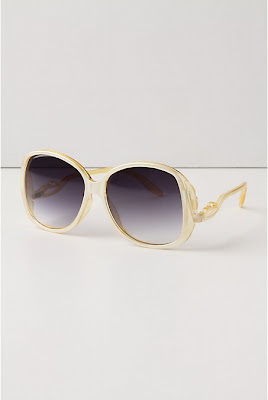 I do have a cruise planned for the end of the summer and need a new pair of sunglasses! Love that swimsuit. Looks really retro. 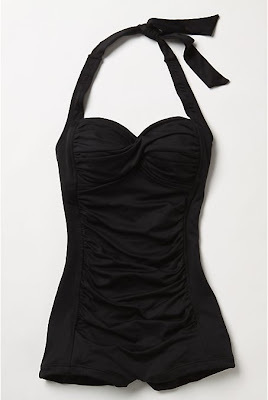 That swimsuit is TOO stinkin cute! Intense Guy-Isn't it! They have a telephone on there that I want too, but not for $200! sugarlens-Ooh a cruise sounds fun!Hopefully not in the Gulf of Mexico! By then who knows what color it will be! I love that swimsuit too. It reminds me of Marilyn Monroe.